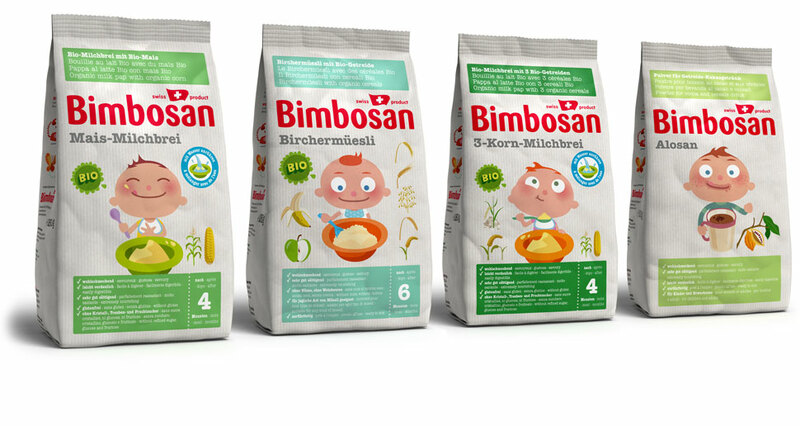 In Switzerland, the Bimbosan baby food products are literally known by every child: entire generations of Swiss have grown up with the milks and paps produced by the family business founded in 1932. When Bimbosan made the leap from the safe haven of specialist retail into the shark tank of large supermarkets in 2013, a big brand relaunch was due. A new brand appearance was needed for this „noisier“ and more colorful environment – first and foremost a new packaging design. From the beginning, the packages had always featured an illustrated pacifier character. 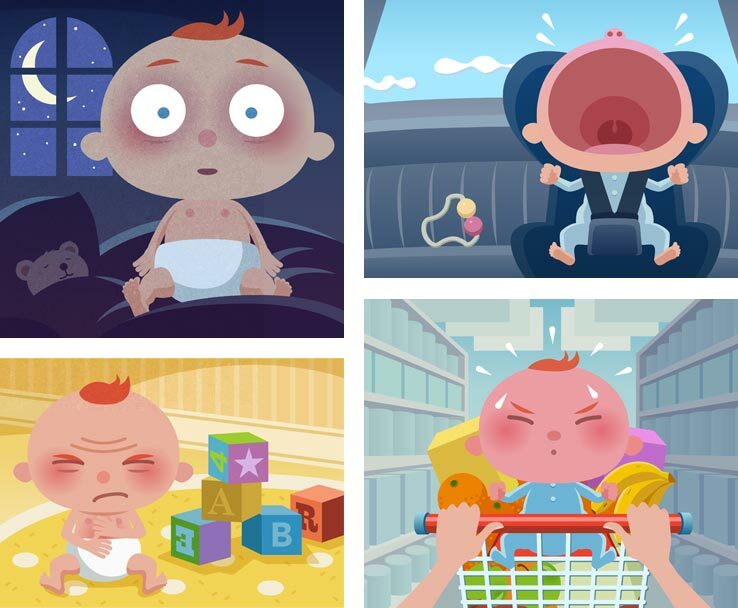 Even though this character was well-known and familiar, it had several disadvantages: a pacifier actually isn’t an ideal visual for a food product. It isn’t really vivid. And stylistically, it was hopelessly outdated. We therefore proposed that the brand be represented by a character that both seemed to be naturally suggesting itself and that appeared to be more vivid, more emotional and more flexible: the Bimbosan baby. 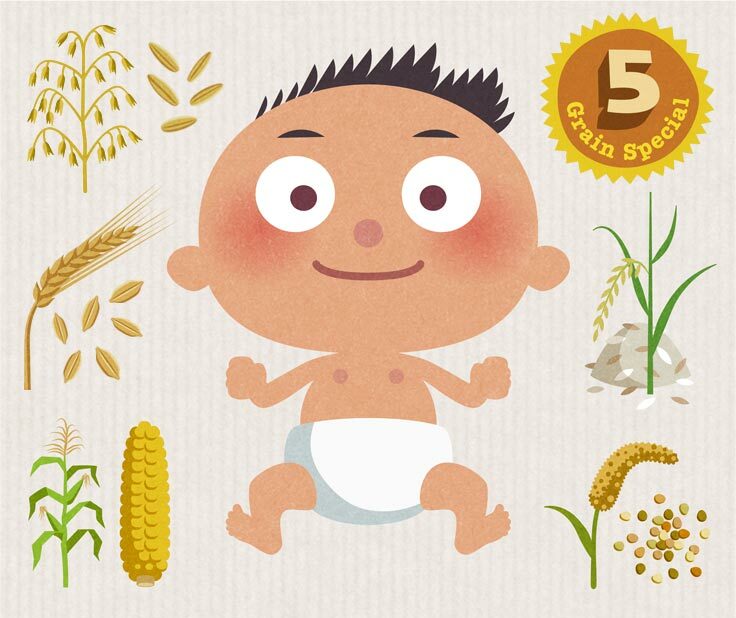 The baby comes with a number of advantages: it can be shown eating and drinking and in international variations. 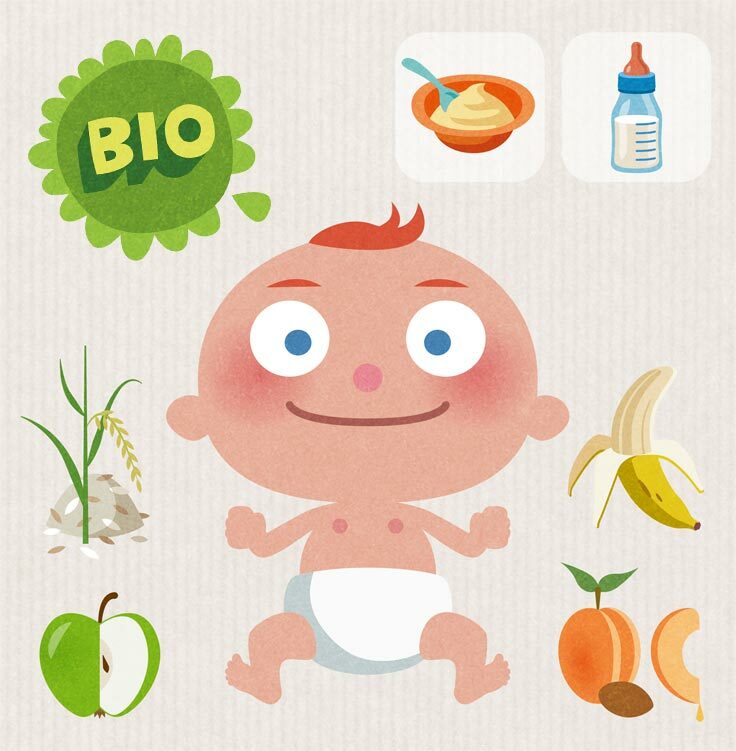 And it nicely illustrates the „Feel Good System“, the spectrum of „baby states“ to which the different Bimbosan products are specifically adapted. 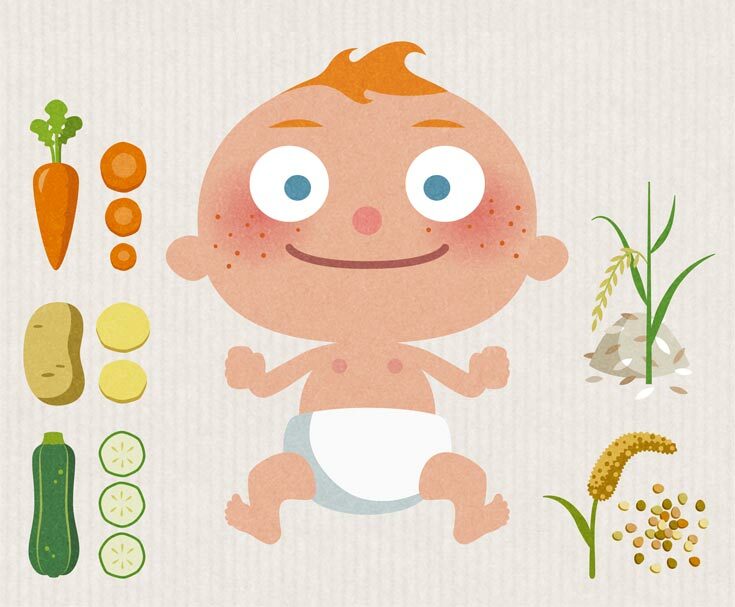 Stylistically, we developed the baby and its world midway between two poles: On the one hand, the clear reduction of infographics and pictograms conveys a high level of trust which is crucial to the sensitive area of baby food. On the other hand the funny proportions, facial expressions and poses create the affectionate and cheerful look known from toddlers picture books. In order to graphically visualize the high proportion of organic ingredients, the color spectrum is bright, yet desaturated, and all illustrations feature a grainy paper structure. 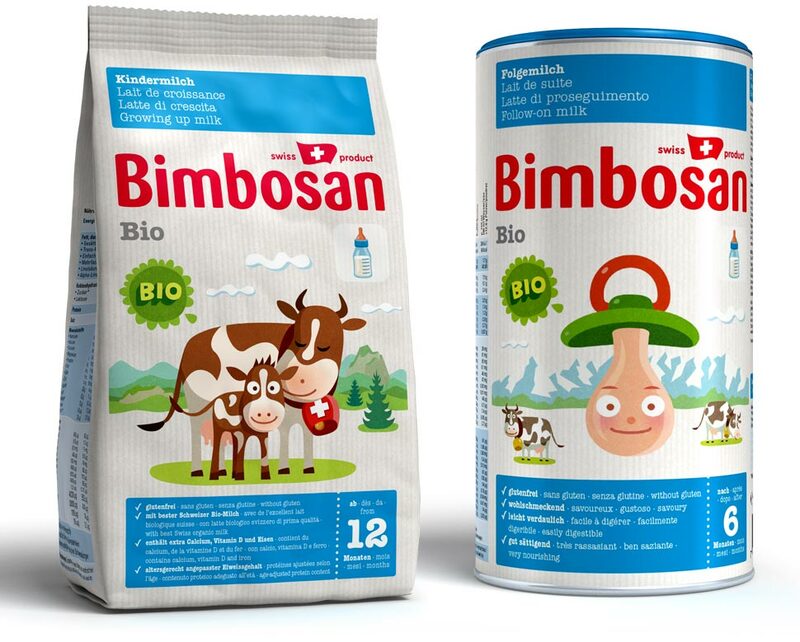 Since 2013, the illustrations have hallmarked the Bimbosan brand’s most important medium – the packages –, as well as all other means of promotion, both offline and online. The product shots also were created by us – in 3d. The relaunch has been outstandingly successful. In the first year after the introduction of the new packaging, the total turnover jumped up by 13 percent.